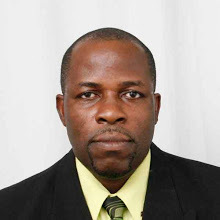 Senator Winston Garraway, Minister responsible for Disaster Management, has disclosed that Grenada’s Cabinet agreed on Monday to make an initial contribution of EC$1 million to the islands affected by Hurricane Irma. The powerful category 5 hurricane with winds of more 180 miles per hour, devastated several tourism dependent islands in the northern Caribbean. Initial reports state 90% to 95% of the infrastructure were destroyed. Prime Minister Dr Keith Mitchell, present CARICOM Chairman, on Tuesday lead a CARICOM delegation on a visit to several hurricane-stricken islands. The team, which included the Secretary General of CARICOM, Ambassador Irwin LaRocque, and the Executive of the Caribbean Disaster Emergency Management Agency, Ronald Jackson, left Grenada on an RSS plane on Tuesday morning. Garraway told the weekly post cabinet briefing held on Tuesday morning that their first stop is the British Virgin Islands which is a British Overseas Territory but has OECS observer status; followed by Anguilla in the afternoon. “They will then spend the night in Antigua, and visit Barbuda early Wednesday, before returning Prime Minister Mitchell to Grenada,” he said, confirming that this is the first of several visits in an expression of solidarity and support to all our regional brothers and sisters affected by Irma. Garraway said that initial sum is a collective amount and following the tour a decision will be made as to how it will be divided. Meanwhile, the Caribbean Development Bank (CDB) has announced support for its Borrowing Member Countries (BMCs) affected by Hurricane Irma, and for the Caribbean Disaster Emergency Management Agency (CDEMA), which is coordinating the region’s response to the affected states. The bank is in the process of providing Emergency Relief Grants to Anguilla, Antigua and Barbuda, The Bahamas, the British Virgin Islands and the Turks and Caicos Islands. These grants, totalling US$200,000 each, will assist with costs associated with damage assessments and the provision and transportation of emergency relief supplies, water and sanitation resources, roofing materials for emergency shelters and community buildings, and temporary shelter for displaced persons. In addition, CDB has offered Immediate Response Loans of up to US$750,000 to the affected countries. The loans, available on highly concessionary terms, are designed to support the clearing and cleaning of areas damaged by Hurricane Irma, and the emergency restoration of services. With many remembering the assistance from some of these very islands following the passage of Hurricane Ivan in 2004, the National Disaster Management Agency (NaDMA) along with private citizens has embarked on several initiatives aimed at gathering nonperishable food, clothes and other supplies for the affected countries.